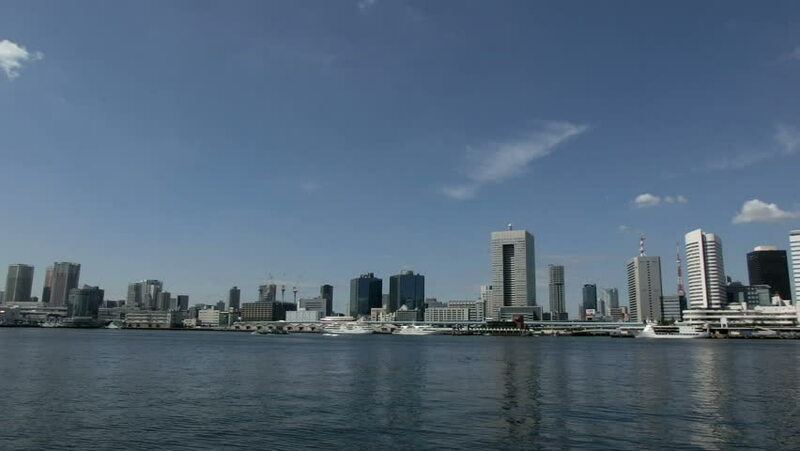 Time lapse of Tokyo's waterfront business district. hd00:11Blue skies over the waterfront buildings of Tokyo Bay. hd00:34Aerial view of drone flight above Swan River along the scenic skyline panorama of Perth city, capital of Western Australia. hd00:28Aerial view of drone flight above Swan River along the scenic skyline panorama of Perth city, capital of Western Australia.